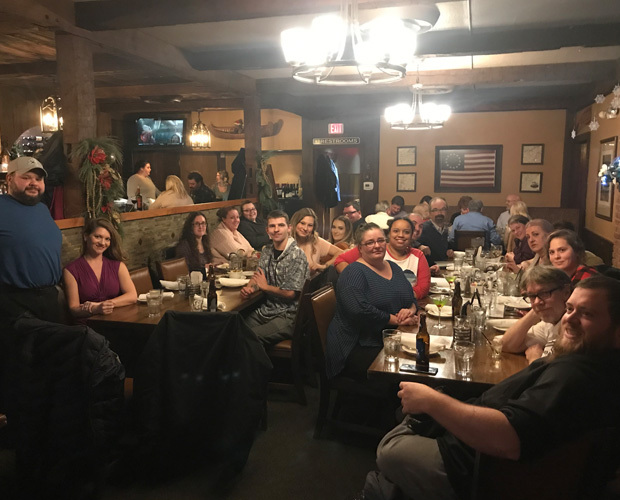 The nutrition and food services department were treated to a night out celebration by their supervisor, Chef Jason Drago, and Administrator, George Dubic. This group embodies the true meaning and spirit of teamwork. Their dedication and commitment to one another and the residents of Heather Hill shows each day. These men and women love working together and are a well-oiled machine in our kitchen. Celebrating these find men and women for their citation free performance during our annual department of health survey. Kudos to you all! We are proud to work with such fine people!